Between September 7 and 9, not only grandparents and grandkids, but all North Carolinians can be part of the 41st birthday celebration of the MST. Last year over 1,700 people joined together to hike the 1,175-mile trail in one day on the trail’s 40th. This year will be more informal, with hikers walking the trail anytime over the weekend with a group goal to accumulate a large number of miles hiked over the weekend. All hikers are invited to record their mileage and/or share their trail experiences at mountainstoseatrail.org/birthdayhike. Or, they can share photos using the hashtag #mstbirthdayhike on Facebook or Twitter. Suggested hikes, frequently asked questions and more information are online at mountainstoseatrail.org/birthdayhike. 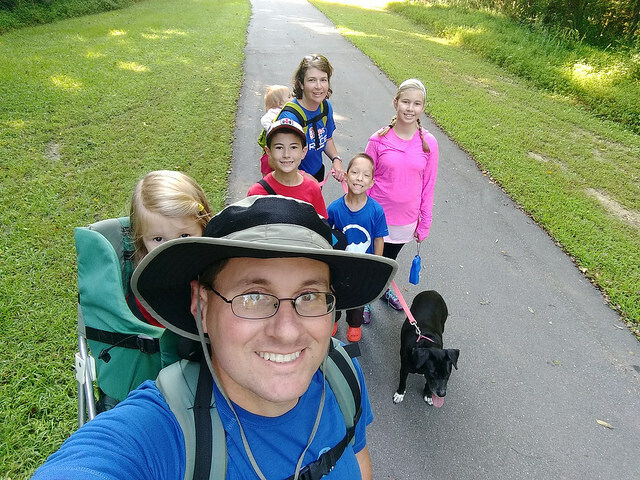 WHAT: Celebrate NC’s Mountains-to-Sea Trail by hiking anywhere you want, whenever you want during the special weekend, with whomever you want – your hiking buddies, troop, congregation, grandkids (it is Grandparents Day, coincidentally). This is a great time to get out and explore the Mountains-to-Sea Trail. Join other hikers as we try to accumulate a huge number of trail miles together over the weekend. After hiking, log your hike on the website so your miles count towards the overall total for the weekend.